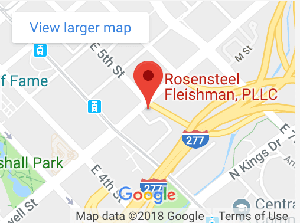 Expressing sincerest thanks to the Rosensteel Fleishman law firm for helping me with all aspects of car accident recovery. I couldn’t have asked for a better experience dealing with this difficult life event. When I contacted them it was immediately clear I had found the stellar representation I needed. I was empowered to make decisions that have resulted in a level of physical and financial wellness I couldn’t have achieved otherwise. I cannot recommend them enough!